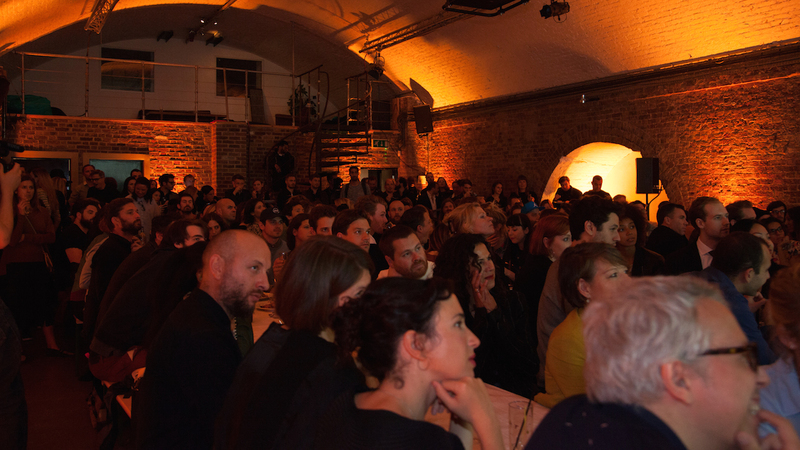 Some of the very best industry work from short film directors old and new was honoured last night at the inaugural 1.4 awards showcase & supper, which saw over 300 attendees gather at Shoreditch Studios to watch the shortlisted work and congratulate the evenings winners. Mill+ sponsored the awards alongside the likes of Caviar Content, Rattling Stick and Furlined, and were thrilled to be a part of such a new and exciting venture. The awards were hosted by 1.4 Curator Lyndy Stout, showcasing a large portfolio of some of this year's most original and creatively excellent work, including spots worked on by The Mill such as Tame Impala’s ‘Let it Happen’ and the animation piece from Mill+ directors Bif for Azel Phara ‘Green’. This year’s winners included Somesuch's Aoife McArdle who picked up a Gold accolade for Honda ‘Ignition’, posted in The Mill’s London studio, as well as Furlined's Clayton Vomero who was awarded Gold for his short film 'Gang'; but the biggest recognition of the night went to Black Dog's Dawn Shadforth who picked up the 1.4 Outstanding Achievement Award for her Hurts Promo ‘Lights’. A huge congratulations to all of the 1.4 winners and those who were shortlisted from over 500 pieces of entered work. See the full list of winners on the 1.4 website and read more about the awards on The Mill Blog.